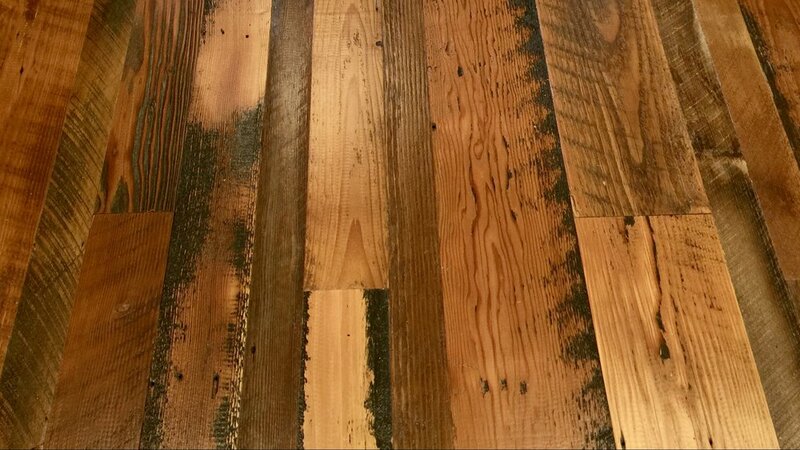 We love the rustic richness of reclaimed floors. For our beam stock floors, we select beams and timbers reclaimed from Willamette Valley barns. We then cut them on our lumber mill into 1" thick slabs, kiln dry, skip plane, and straight-line. When installed, the nail holes with rust bleed and the various saw scuffs, checks, and cracks make multi-width flooring a show-stopper.